The kids will simply love this mango flavoured popsicles. Blend together ¾ mangoes, yogurt, castor sugar and ¾ cup milk to a smooth mixture. 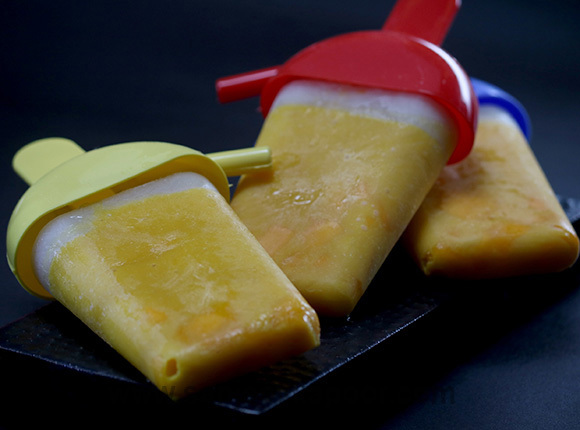 Put remaining chopped mangoes into popsicle mould tray, fill them up to ¾ with mango-yogurt mixture and freeze for 1 hour. Remove from freezer, fill the tray with remaining milk and freeze again for 6-8 hours.